A book with a title like INVASORES (“The Invaders”) conjures up images of David Vincent pulling into an abandoned diner, rubbing his sleepy eyes, only to look up at the image of the archetypical flying saucer, all lights and strange sounds. 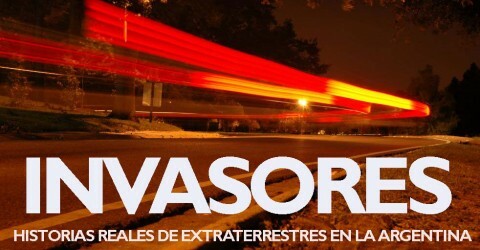 But INVASORES is an conundrum: a book about the UFO phenomenon written by an acknowledged skeptic. But in Alejandro Agostinelli’s own admission, the skeptics somehow come out worse for wear in this important book. For INVASORES is written lovingly, in a unique style that causes the reader to “see” the mythical, magical UFO landscape of Argentina in decades past. It isn’t a casebook or another book regarding claims of this alleged sighting or that alleged crash – it carefully examines the social, cultural and political underpinnings of Argentinean society during the turbulent, saucer-active decades of the 1970s, when colorful – if not downright bizarre – characters appeared on the national scene to claim alien contact or simply draw attention to themselves. The backdrop throughout the first act –the madness of the ‘70s – is Argentina’s unstable political situation: a rotation of governments, both military and civilian, and uncertain economy, and the quiet anguish of a population unsure of the next move. A situation ripe for charlatans and spectacular claims, such as those of Francisco Garcia, a septuagenarian, self-avowed half-human/Martian hybrid whose rantings about Earth’s involvement in a cosmic war between Mars and Jupiter would supposedly be made good by the arrival of the Martian fleet at the Chascomús Lagoon on August 20, 1973. When the event did not take place (a strategic redeployment by the Martian Admiralty?) a crowd of five thousand spectators turned on García, who was forced to beat a hasty retreat into the pages of contactee history. The second act of INVASORES centers on more familiar fare: the Argentinean cattle mutilation wave of 2002, Valentina de Andrade’s LUS saucer cult and its dissident member “Commander Clomro”, and the otherworldly amours of contactee Martha Green. While the book remains available only in Spanish, it offers interested readers a glimpse into the human frailties and hopes which, after all, are the backbone of what we call ufology. “Invaders. Real stories on extraterrestrials in Argentina” (Editorial Sudamericana, 2009). Like every football fan with fantasies of his or her Dream Team, here we are, with the perfect line-up, the ultimate best eleven. Eleven stories that is, stories that catch our atention and at the same time, fascinate. To be read in one go, in 2 hours or 2 days, a page turning book that acts as an hallucinatory Pandora’s Box, from which surprise after surprise escapes to alien effect. Told with just the right mix of illusion and scepticism, with a lot of respect, with a lot of rhythm, and a lot of irony, this is a book that leaves the reader wanting to know more, to discover the human and the not so human characters behind the stories, to keep reading. And I know of no better praise for any book than to say that it makes the reader want to keep on reading. 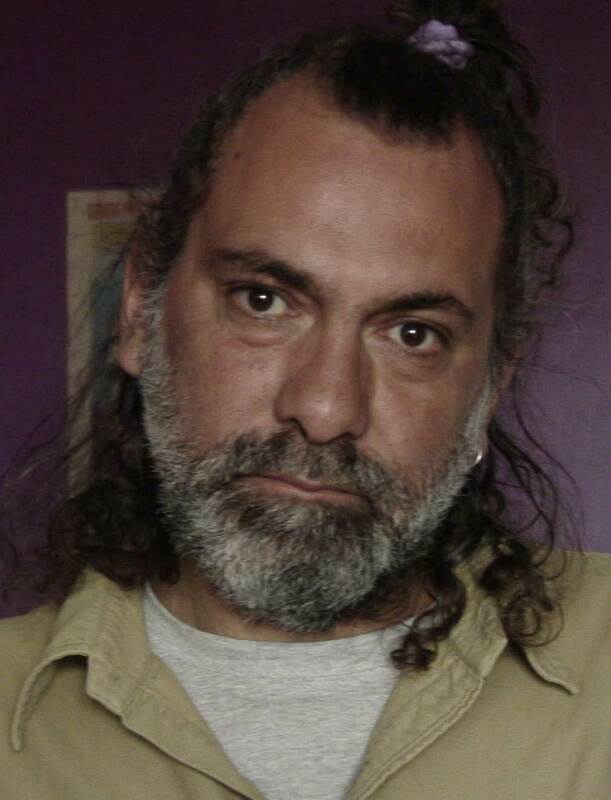 Pablo Robledo, journalist and documentary maker based in London. Published “Pelucas de Contrabando”, a book of short stories. Collaborated with Pagina 12, Critica de la Argentina, Revista 23, Lezama, Nomada and several other newspapers and magazines in Argentina. 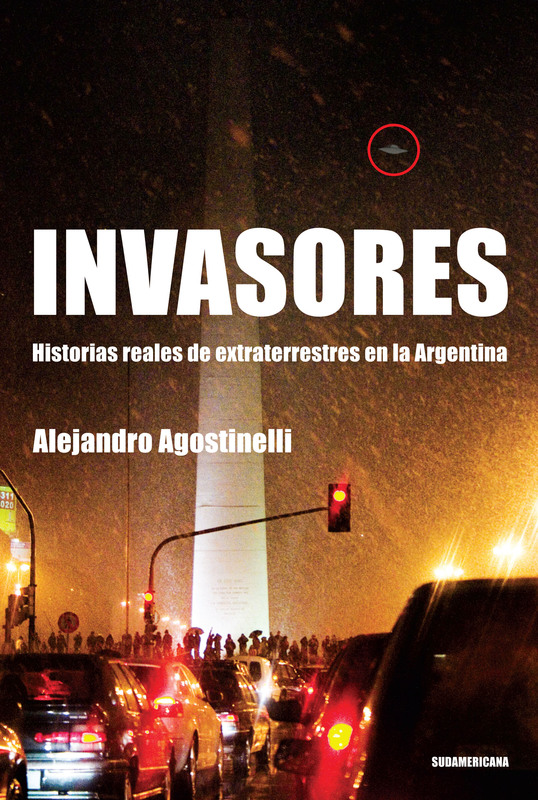 Book Review: INVASORES by Alejandro Agostinelli. 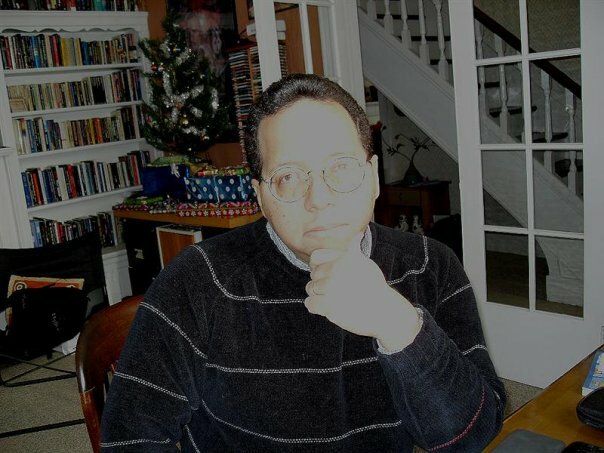 By Scott Corrales, in Inexplicata (february 2010). Em 1952, um espírito revela a um divulgador de ciência que um disco voador vindo de Ganímedes sobrevoará o edifício Kavanagh, na praça San Martín. Em 1967, um padre jesuíta pede a um contatado polonês que traduza o livro Martín Fierro para o idioma extraterrestre. Em 1968, os jornais noticiam o teletransporte de um casamento para o México e dois empregados do cassino de Mendoza tropeçam em uma nave aterrissada, cujos ocupantes gravam no chassi do seu carro uma mensagem interestelar. Nos anos 70, um profeta jura trabalhar com tecnologias alienígenas inspirado por vozes do além. E outro anuncia pela televisão o iminente desembarque de 50 discos voadores sobre a lagoa de Chascomús. Nos anos 90, uma mulher abandona uma vida confortável para construir um museu óvni no estado de Entre Ríos e amadurece o plano de um capuz que assegura ser de outro mundo. Em 2002, a Argentina assiste a uma estranha onda de crimes contra vacas. Reencarna o chupacabras em La Pampa, onde um camponês assegura que um disco voador lhe roubou seu celular e outro que ingerir carne de vaca mutilada lhe deu superpoderes. Enquanto tudo isso acontece, desde 1956 a 2009 a esposa de um militar perseguido vive um idílio secreto com um amante vindo do espaço. Quem são os invasores? Este livro afirma, duvida, interroga e reflete. Mas, sobretudo, conta que experiências viveram, em que acreditam e quem são os protagonistas da Argentina extraterrestre. De Invasores. Histórias reais de extraterrestres na Argentina (Editorial Sudamericana, 2009), Agostinelli diz: “É minha melhor tentativa de refletir o que escutei, vi e percebi na experiência mais agradável que um jornalista pode desfrutar, que é a experiência de fazer contato com outras pessoas com vontade de te contar o que aconteceu de mais importante na vida delas”. Entre a crônica, o ensaio e o jornalismo investigativo, Invasores revela o fascínio do seu autor pelo estranho e sua paixão por iluminar o incompreendido. In 1952, a spirit reveals to a scientist that a flying saucer from Ganimedes will fly over the Kavanagh building, situated in Plaza San Martín, Buenos Aires. 1967, a Jesuit priest asks a Polish contactee to translate Argentine novel Martin Fierro to an alien language. In 1968, newspapers inform of the teleportation of a married couple from Chascomus (a little village from Buenos Aires province) to Mexico. Also, two casino employees in Mendoza encounter a landed spacecraft whose occupants burnt an interstellar tracing inscription on the door of a vintage car. The 1970s, a prophet swears he worked with an alien technology inspired by voices from beyond the grave. Another announces the imminent landing of 50 spaceships over the Chascomús Lagoon. In the 1990s, a woman leaves behind a comfortable life to build a UFO museum in Entre Ríos, following the plan of a hooded man who claims to be from another world. 2002, Argentina experiences a strange wave of cattle deaths, reincarnating the “chupacabras” in La Pampa. A civilian swears he had seen a flying saucer that stole his cellphone, while another claims that ingesting the meat of the mutilated cow gave him superpowers. While all this occurs, from 1956 to the present day, a soldier’s wife has a secret affair with an alien lover from outer space. Who are the invaders? This book affirms, doubts, questions, and reflects on this question. But above all, it relates to us the experiences they have lived, their beliefs, and tells us about the protagonists of an alien Argentina. 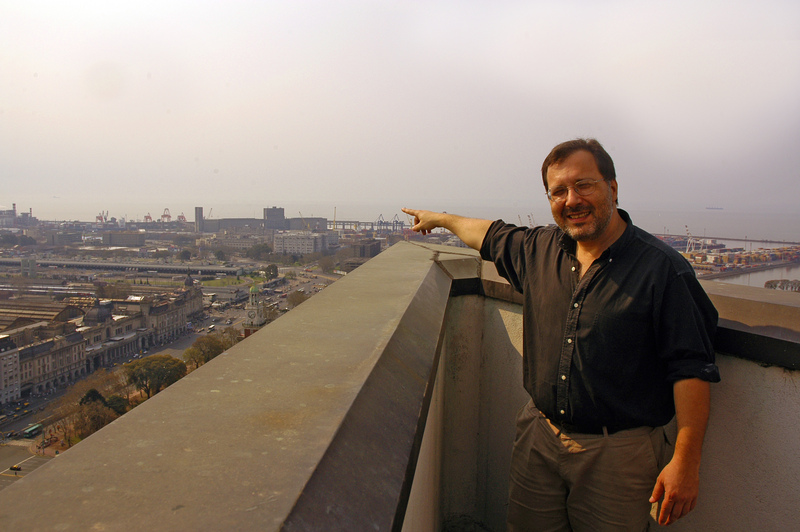 With the chronicle, the story, and the investigative journalism, Invaders reveals the author’s fascination for strangeness and his passion for clarifying the unexplained. “Invaders. 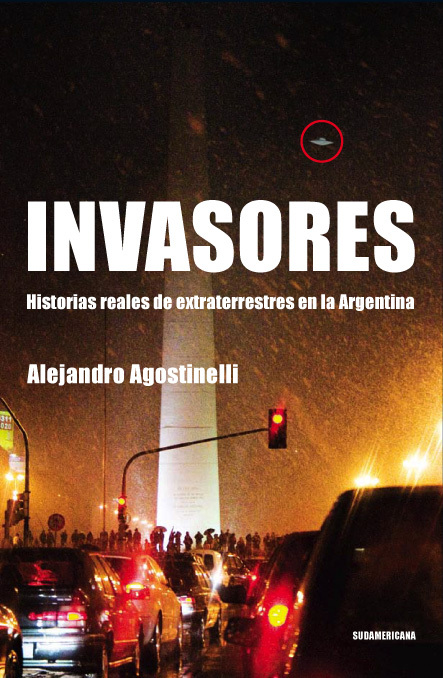 Real stories on extraterrestrials in Argentina” (“Invasores. Historias reales de extraterrestres en la Argentina”, Editorial Sudamericana, 2009). His book is somewhere between the pleasure of the chronicle and the flashback of an archive. That’s how this project should have started. Editorial Sudamericana has recently published it under the name “Invasores”, and that’s how it ended. Over 342 pages written with the perfect excuse of narrating Argentina’s most startling extraterrestrial sightings, including the famous case involving “little green men” that caused an uproar in local ufology in ’68. A journalist may delight in sleuthing across the paranormal landscape; for he protagonists of these events –the contactees– it is an exhumation of an extreme experience. – And how did you come to choose the cases? How did you know that these were the stories, and not others? -It’s hard not to ask which case affected you the most. -How did you trace the route to be followed? -So, do you or don’t you believe in alien life? Original Source: Los Andes On-Line. Translation Source: Inexplicata. Journal of the Institute of Hispanic Ufology (IHU), presenting UFO and paranormal cases from Spain, South America and the Caribbean. (c) 2009, Scott Corrales IHU. Special thanks to Guillermo Gimenez, Planeta UFO).